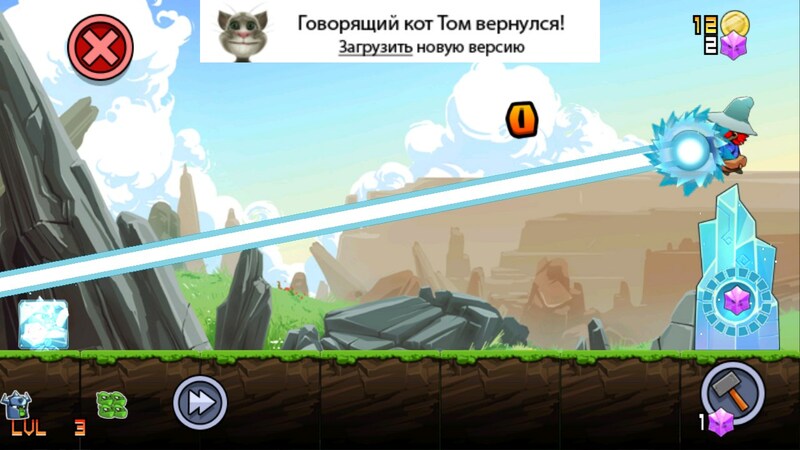 Goblins Rush – Games for Android 2018 – Free download. Goblins Rush – Fire back goblins with magic. 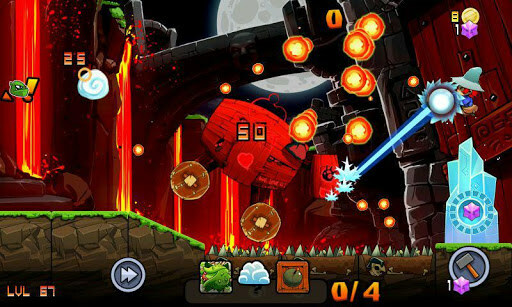 Goblins Rush - is a fun arcade-action game for smartphones or tablets on Android, in which we will shoot the brazen goblins trying to get to the sacred altar. The game has a very interesting idea in terms of mechanics, as well as a large variety of levels. Development of the game is well-known to us studio Bulkypix, which presented such memorable games as Aby Escape and Kung Fu Rabbit . As with all of their games, the developers went with a big heart for drawing charts and think through the physics engine. We will manage, hovering in the air fairy, which must at all costs protect the sacred tower from attacking evil and stupid goblins. For protection we use a full arsenal of spells, we were taught all their lives. Fireball - the most simple and effective spell attacks. To use it, you need to click once on the screen in the direction of the enemy. Levitation - this spell we can pick up the enemy and throw it in the sky or throw it with all his strength on the ground. To use this spell, press and hold down your finger on the enemy. 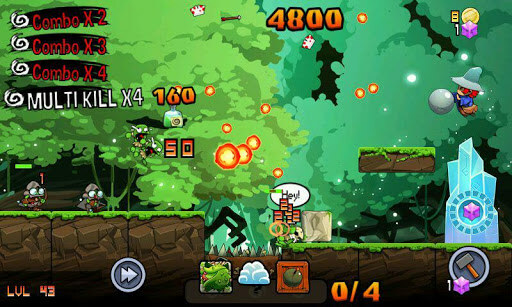 With this spell the bloody action game reminds ZombieSmash from Zynga. Pillar of ice - this spell slows enemies and can even turn them into ice. To use, press and hold your finger on the screen until you see a pillar of ice. Besides the magic, we can also use additional tools, such as: live firing build towers to lay dynamite, barriers and many other obstacles to the goblins. The enemies in turn also perform miracles intelligence and construct a different technique, attack slim units and struggling to break through the defense. 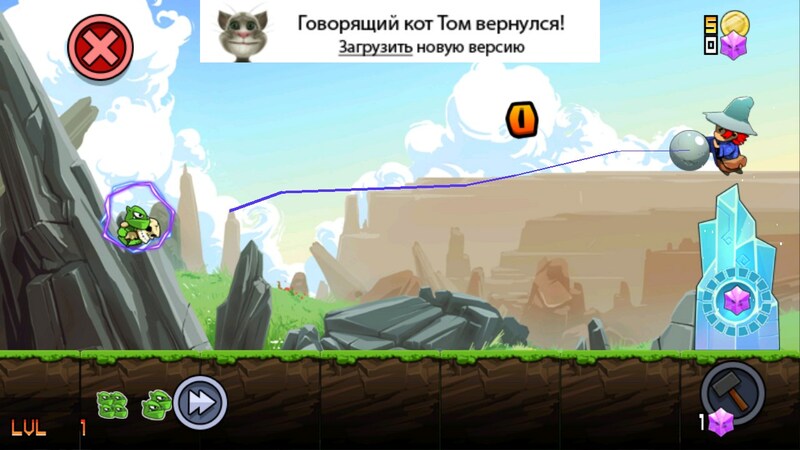 The disadvantages include the fact that the advertising of the game there in an aggressive manner, and even interfere with the game. If desired, you can disable it by purchasing the appropriate service "Ad free" inside the game itself. Summary. 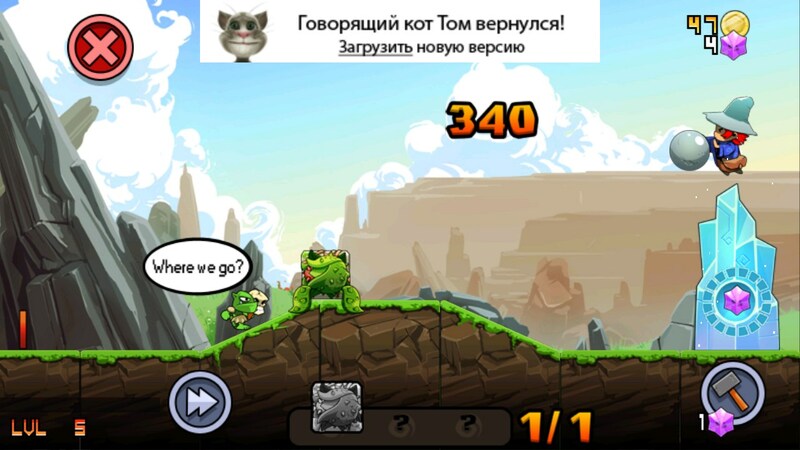 Goblins Rush - this is a very original and interesting game for Android, mixing a lot of different genres. Play is a very interesting idea, fresh, high-level implementation, definitely, recommend!